Moosknukkl Groovband: Who Was The Moosknukkl Groovband? Wer war die Moosknukkl Groovband? 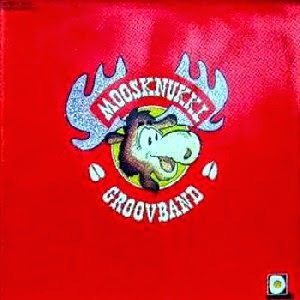 Who was the Moosknukkl Groovband? In Search Of a Lost Band and it's LP. Nachforschungen zu einer vergessenen Schallplatte und den Musikern, die sie aufnahmen. Who Was The Moosknukkl Groovband? Somewhere in the middle 80s I spontaneously purchased a record with an elk-head on its cover on a flea market. 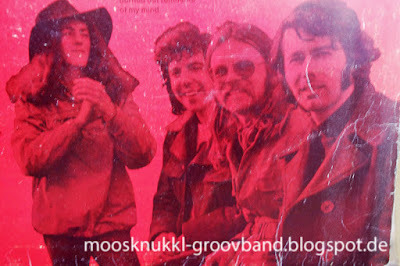 One or two years later and meanwhile interested in Rock Music's history I asked who this Moosknukkl Groovband was. Although producer Conny Plank was a well known name in german music I couldn't find any hints the band had ever existed. No entries in Rock-Encyclopedias or collector catalogues, only helpless people in record stores. How could that be? An LP, recorded by a well known producer in a renowned studio - and nothing was to be found on it? First three decades later it should succeed to unravel the mystery. Until then i had to hang on to the sparse information on the cover of the LP. 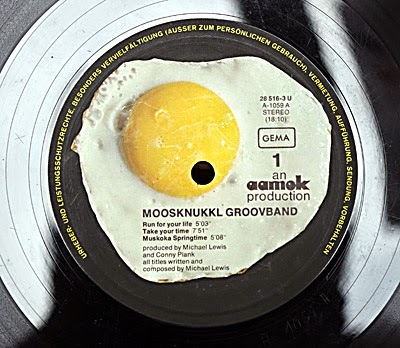 Thus the Moosknukkl Groovband had been Mike Lewis (keyboards, percussion) Tommy Graham (Guitar, Percussion, Vocals), Brother Josh (Drums, Vocals), und John Morton (Bass, Vocals) bestanden. Were they british? From USA? Unknown. Rock-encyclopedias didn't know anything about these musicians. THis was not the case with Conny Plank,well known als Krautrock-Mastermind, also producer of the first Scorpions-Album, for the debut of Ultravox and hits of the Eurythmics. The six songs of the record oscillate between fast bluesrock (Run For Your Life), psychedelic stuff (Nahi Bole) and boogie rock (That ain't all). A nice but not very special 70s record without elements that were entirely new at that days. Recorded in 1972 in Windrose-Dumont Studios in Hamburg, the album appeared on Spiegelei, a sub-label of the Intercord company specially installed for krautrock. 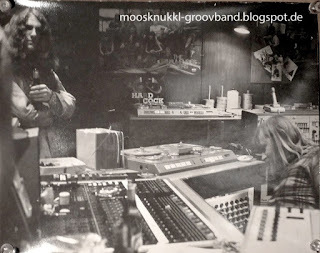 More than two and a half decades later the grown-up Internet had changed the world and provided at least a few details to the Moosknukkl Groovband. Record collectors offered the LP for about 100 Euro. And at least keyboarder and song-author Mike Lewis got a piece of identity, to be found for example in Krautrock-Musikzirkus. He was canadian, said the sources like this, had studied composition in munich, germany, in the midddle 60s and later founded several musical projects within a circle of experimental avantgarde composers. 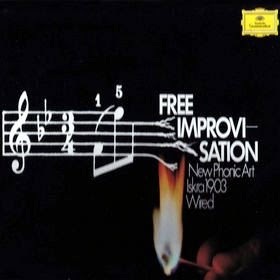 Together with the cologne-based american composer and percussionist Michael Ranta, composition-lecturer Karl-Heinz Böttner and with Conny Plank at the recording desk he published under the project title Wired two tracks for the LP "Free Improvisation" (released on grammophone records). Side one of the record to be found here on Youtube. A few month later, Lewis, Ranta und Plank recorded Mu (Youtube: 1/1 und 1/2), a recording session which was published first 40 years later when Michael Ranta released Mu on the belgium label Metaphon as limited edition of 500 copies. 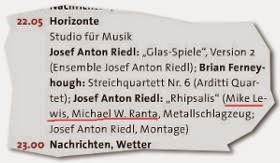 Who digs deeper discovers radio-recordings of Ranta and Lewis, for example with the ensemble of Josef-Anton Riedl. Ironically: While the Moosknukkl Groovband's LP got lost in music history you can still hear former band's head Mike Lewis in radio, for example within the performance of a composition of Josef-Anton Riedl broadcasted on 6. of June 2014 in bavarian broadcast (Schedule). In 1971 the LP Wuschel was released, according to the credits only recorded by Lewis and Plank. Musically this LP leads the way to the Moosknukkl Groovband with organ-oriented bluesrock. The text in the sleeve of the CD Mu noticed that the guys of the Metaphone Label had no idea what became of Mike Lewis. Internet-search led to nothing because the search for a Mike Lewis via Google could not be more successful than for John Smith. Also band mates John Morton and Tommy Graham had very common names and „Brother Josh" was presumably not a real name. Moreover the musicians would be nearly 70 years old now - which made presence in the world wide web not very likely. Who could I ask for information? Spiegelei-Label didn‘t exist anymore. Studio-Mastermind and Lewis-companion Conny Planck already died in 1987. What happened to Michael Ranta? According to Wikipedia and additional Google entries, Lewis' old friend from german days lived in Cologne today where he was running a shop for asian music instruments. Requested by email, Ranta answered after a few days: Yes, he wrote, while publishing the old recordings of MU, he also had tried to find where his old friend Mike Lewis has been left- without success. Hints, given by canadian authorities even led to the conclusion that Lewis wasn‘t alive anymore. "Very likely he‘s dead, but we didn‘t get a confirmation for that", Ranta wrote. New sources were needed. 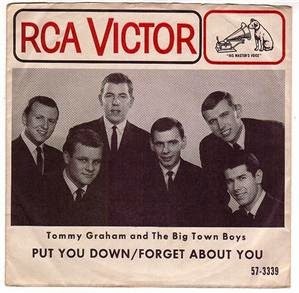 On the Groovband LP, Tommy Graham was credited „In Courtesy of Capitol Records". Internet provided a Tom Graham, who was contracted at Capitol. The canadian (!) 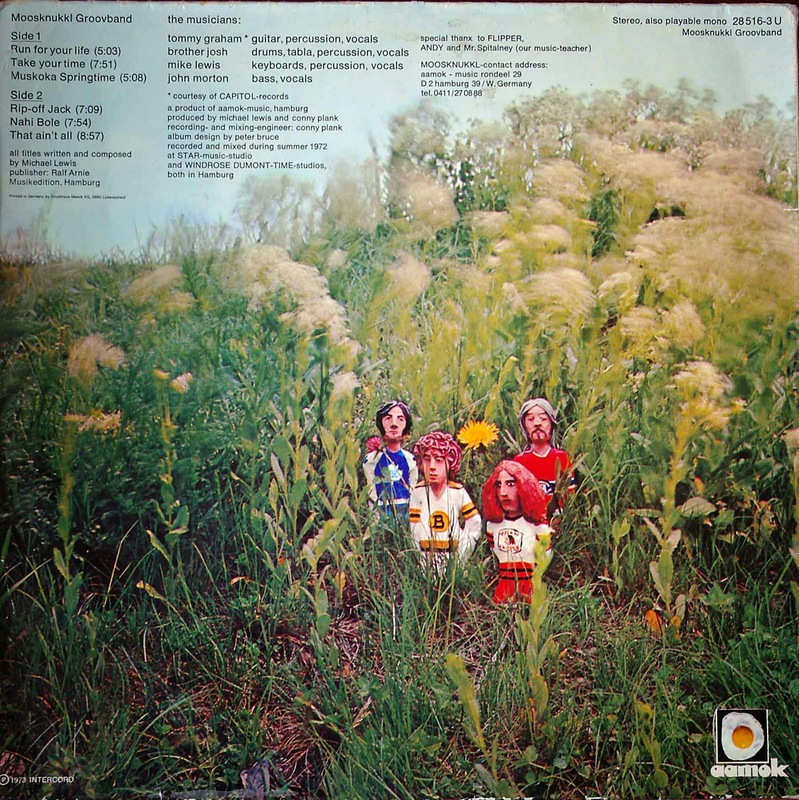 had recorded a LP with the title „Whole Earth“ in 1970. And currently google listed a worldmusic producer based in toronto with name Tom Graham. His age matched and so I sent him a Mail. Waiting for his answer, I followed another trace. There was a hint on the record‘s sleeve that some of the musicians of the band knew each other since a long time: „Thanks to Mr. Spitalney, our Music-Teacher“. Had the Moosknukkl members played together before 1973? Yes! This fact was to be found in the archives of The Ottawa Journal. In an issue from 1965 we found an article about a beatband called The Big Town Boys, based in Toronto. Members among others: Michael Lewis, Tommy Graham and a Peter „Josh“ Collins! Additional informations to the Big Town Boys were to find in a blog about the beat-era in Canada. In one post the editors report that Michael Lewis left the Band 1964 in direction Germany to study in Munich - that was the missing link to the already known pre-Groovband History. Now it was ensured, that the right Mike Lewis has been found. And with the real name of "Brother Josh" we now could put a light on his career. In 1973 he recorded with Andy Marx, the later guitarist of Udo-Lindenberg, a famous singer in germany, the LP "Garden of Delight". As drummer Josh is also credited in this work. 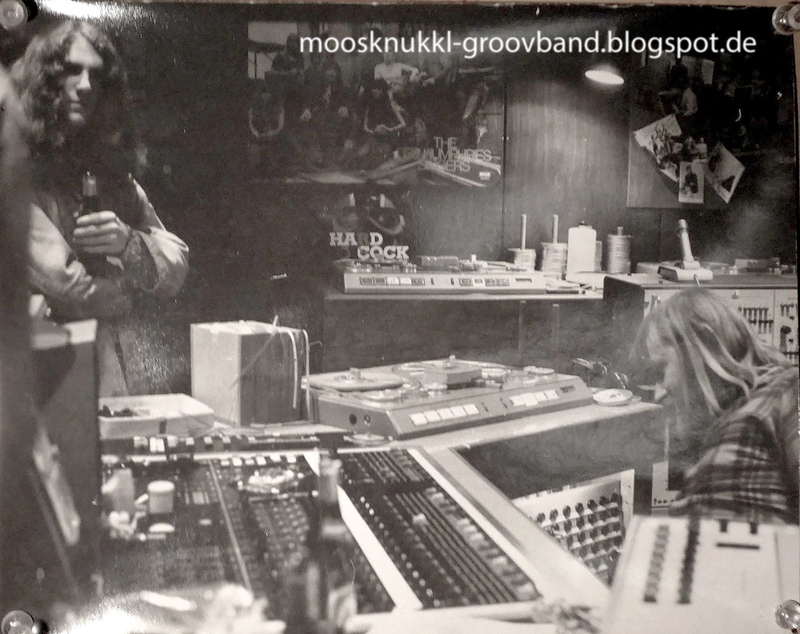 And the article from the blog confirmed another fact: The today‘s canadian producer Tom Graham was in fact Tommy Graham from the Moosknukkl-Groovband-LP. And Tom Graham itself confirmed that via email: Nearly 30 years after the purchase of the mysterious unknown record I now had contact to the guitar player of the Groovband LP. „Yes, thats me“, declared the canadian. Yes, he had fond memories to this album, he wrote and attached two previously unknown band photos taken while the recording sessions in hamburg. Among the less left owners of the LP I now was the only one with two additional pictures of the band. One was a simple band photo, the other showed legendary producer COnny Plank behind his recording desk and a long haired man with a bottle of beer in his hand - according to informations of Tom Graham, this was John Morton. With this information the first time in history of Moosknukkl Groovband research it was now possible to assign the correct names of the band‘s members to the displayed persons in the record sleeve. What else did Graham know? Until today, he let know, he stood in contact with Josh Collins, who lives in Montreal - as Mike Lewis does! Still before i could ask him to establish contact to Lewis, we got help by chance. We had published the first steps of our search on this website in autumn 2014. Weeks later I recieved a mail. „Cool website", it said. „I told my father of it - he‘s very flattered.“ Sender was Julian Lewis - Mike Lewis‘ son. FOr about every two years, he told me, he searched the net for remains of his fathers‘s work. And yes, he was still alive an would get my mail adress. A few days later I discovered a mail in my spam folder, sent under a female french sounding name. „Hello, here‘s Michael Lewis“, the text started. Now the secret how the strange constellation with the unknown record could have emerged, was disclosed. 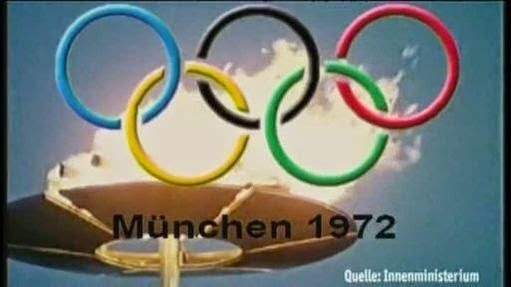 In 1971 Lewis got the offer to write music for the accompanying programm of the olympic summer games 1972 in munich . Beside composition and concerting this offer contained the possibility to record an LP. While spending vacancies in autumn 1972 in canada, Lewis had contacted his old bandmates Collins and Graham. A young bass player from Ottawa completed the quartet. In march 1972 the quarted and Conny Plank had entered the studio in Hamburg for recording sessions. During the summer games then the Moosknukkl Groovband gave conerts in the olympic area. In october, Graham, Morton and Collins left Germany in direction Canada. The LP was released in 1973, 3000 copies had been made. How many were sold? "No idea", says Mike Lewis. Those informations supplied new food for search engines, and as a result we discovered the official Olympic Report Munich 1972, where Michael Ranta, Mike Lewis and the Moosknukkl Groovband are listed as part of the cultural program (S. 59/253). Mike Lewis stayed in Germany for another two years and composed music for german productions: „Die Verrohnung des Franz Blum“ of Reinhard Hauff, „Desaster“ (same Regisseur) and „Die Ameisen kommen“ and „Umarmungen und andere Sachen“ of Jochen Richter. Some cinema databases confuse in their records to these films the canadian Mike Lewis with the welsh composer Michael J. Lewis. 1975 Mike Lewis moved back to Canada where he earned money with concerts in Jazz- und R&B-genre, music for TV commercials and his own studio. Currently he was in retirement, he wrote us in december 2014. Update: Meanwhile the complete album appeared on Youtube. Moosknukkl Groovband has reached the 21th century. Excellent research! Thanks for sharing!! !